Fitzroy Island is a granite island surrounded by coral beaches located 29 km from Cairns within the Great Barrier Reef Marine Park. The island resort also has its own Fitzroy Island Dive Centre offering the full range of water-based activities from snorkelling and diving Fitzroy Island’s coral reefs, to PADI certification courses for those who want to learn to dive. 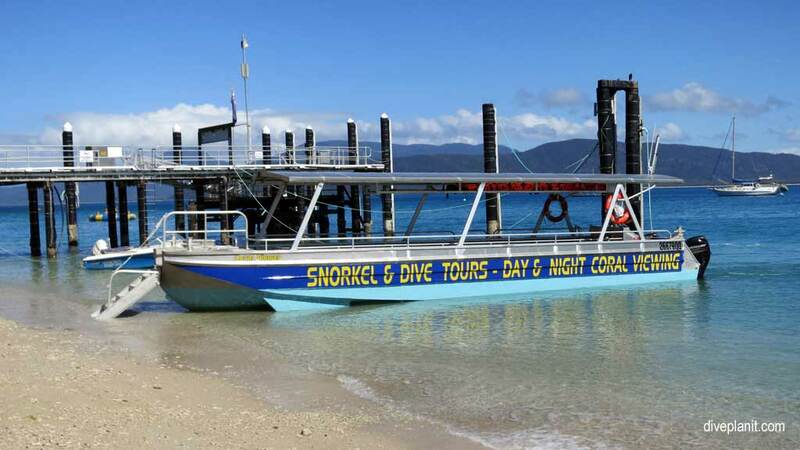 Fitzroy Island is served by a daily ferry service, and in addition, two Barrier Reef Cruise operators – Sunlover, and Cairns Dive Centre’s MV Sun-Kist call in at Fitzroy on their way to the outer reefs. 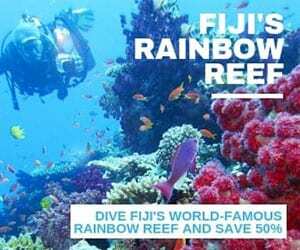 Which means you can combine scuba diving Fitzroy Island with a couple of day trips diving on the outer reefs. The island, which is about 2.5 km by 1.5 km, is listed National Park, and has walking tracks through rainforest up to the summit and lighthouse offering panoramic views of the Reef and coastline. It has a single, but extensive resort, offering a number of accommodation options from luxury to camping, and a number of marine activities from diving and snorkelling the house reef, to glass bottom boat tours. 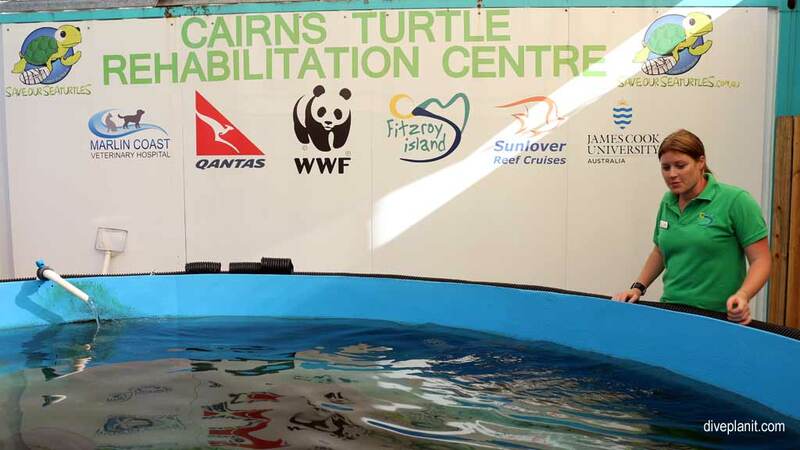 It is also home to a turtle rehabilitation centre which has an educational tour every day at 2pm. Fitzroy Island is 29 km from Cairns, which is a 45 minute transfer from the Cairns marina. 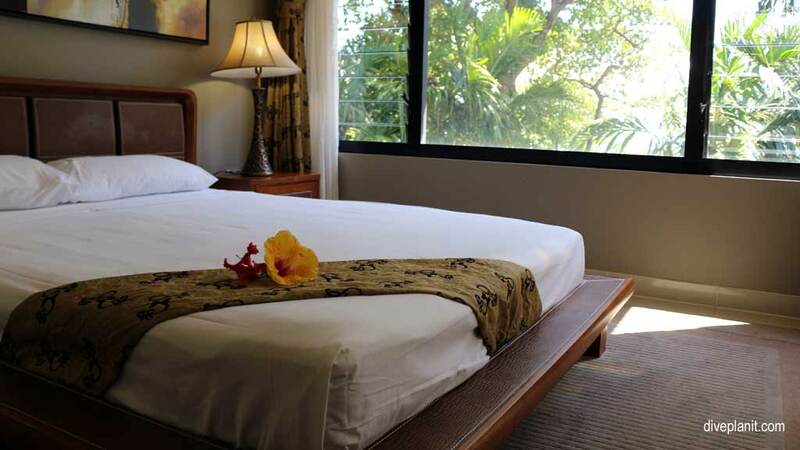 Enquiries: please contact Fitzroy Island directly on 07 4044 6700 or via their Contact page. 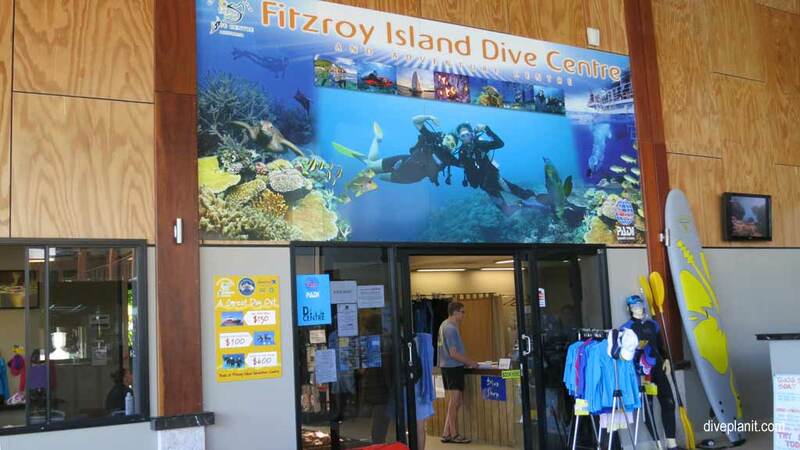 Fitzroy Island Dive Centre located within the resort offers the full range of water-based activities. There are PADI certification courses for those who want to learn to dive, or progress, and qualified divers can dive the islands reefs as a shore dive, or go out in the tender. Night dives are also offered and can be spectacular depending on the phase of the moon. There are two options to get to the outer reefs from Fitzroy Island – and the commutes are shorter than going from Cairns. 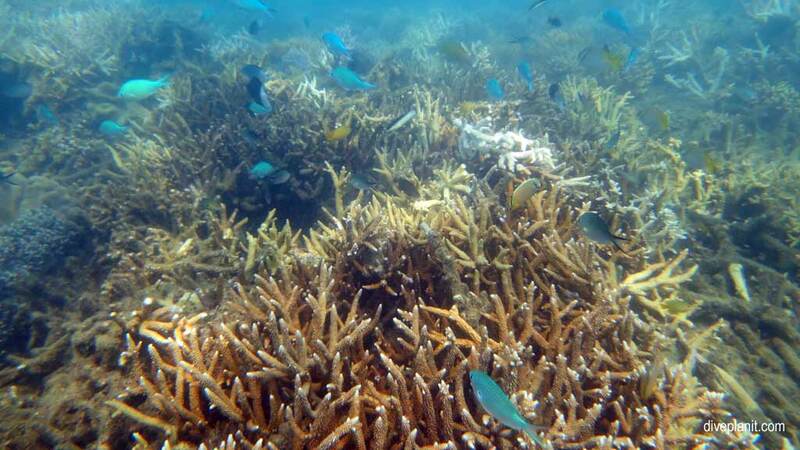 Sunlover have a pontoon at Moore Reef and a number of dive sites around it. They offer up to two escorted dives for the certified, or discover scuba diving for the uninitiated. The Sunlover departs Fitzroy around 10.15am returning at 4.30pm. 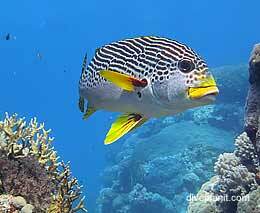 Cairns Dive Centre also call into Fitzroy at about 8.45am returning 3.30pm. Their boat, the MV Sun-Kist, visits a group of reefs including: Moore, Elford, Milln, Thetford and Sudbury. They also transfer divers to their live aboard, the MV Kangaroo Explorer which remains out on the outer reef. Diving with the Cairns Dive Centre was the only operator that allowed us as advanced and experienced divers to explore the reef as a buddy pair without a dive guide. With both operators, it is possible go out to the outer reef, and then catch a lift all the way back to Cairns. Check directly with the operators how to combine a trip to the Reef and an overnight stay at the resort – though you need to book the Reef Cruise and the Resort accommodation separately. There is a reef off the beach which is an easy snorkel and is also used as the ocean dive for those learning to dive at the Fitzroy Island Dive Centre. It also makes for a convenient night dive for those staying at the resort. The alternative is an outer reef dive as described above, the dive sites visited are usually selected on the day according to conditions. At the resort, there are a number of different styles of suites, for singles, couples, families and couples of couples, with and without ocean views, and with and without catering amenities. There are also Beach-side ‘Cabins’ with views across the bay and generous balconies from which you can walk directly onto the coral beach. 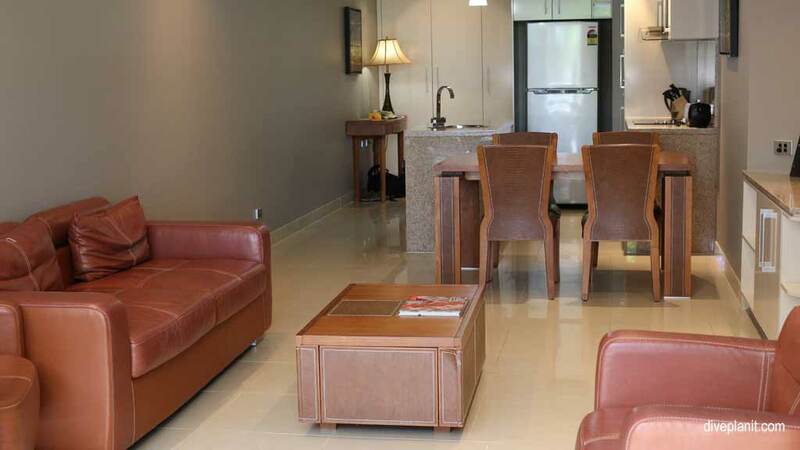 Each has two double bedrooms and plasma TV. There is also a camp ground with amenities and BBQs nestled between the forest and beach at the end of the resort. You can check availability and book on-line directly via the website. Zephyr’s Restaurant is open daily for buffet breakfast, and evening al fresco a la carte dinner. The menu is modern Australian, with locally sourced produce and comes with an equally impressive wine and beverages list. Perfect for that special occasion. Foxy’s Bar, about 100m from the resort in the Day Visitor Centre offers a more casual café style of menu providing a range of food and drinks including kids meals. It also has live music on some weekends. Check the “What’s On This Week” broadsheet available at the resort. The Pool Bar at the pool – exclusively for resort guests – is open during the day, and offers drinks and light snacks until 4.30pm. There is a general store on the island, so self-catering and dining in is also an option. Finally, if you really like to cook and eat al fresco, and put some thought into it in advance, you can also use the BBQs too cook up a storm. Walk. Though remember that it’s a coral beach so it is advisable to wear something on your feet. All these are available via the Fitzroy Island Dive Centre in the resort. It’s your one-stop shop for the best activities to take advantage of being on an island with the Great Barrier Reef Marine Park. 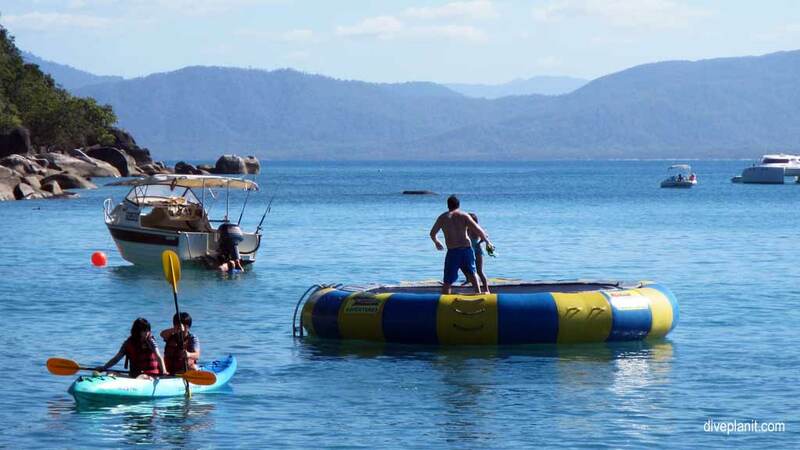 Alternately you can just enjoy the quiet of the pool or take the kids to the beach in Welcome Bay – which usually has an aqua-trampoline moored between the jetty and the beach. Nudey Beach to the west of the island is quieter – but remember it’s nudey in name only. A self-guided nature walk up through the national park to the Lighthouse and Summit, height of which is 270m. Stinger season is October to May, and stinger suits are available to hire during this time. Temperatures range from 24 to 31°C (75-88°F) in the summer and 19 – 25°C (66-77°F) during the winter, though there is usually a gentle and welcome south east ocean breeze. Check out current activities via their own website. 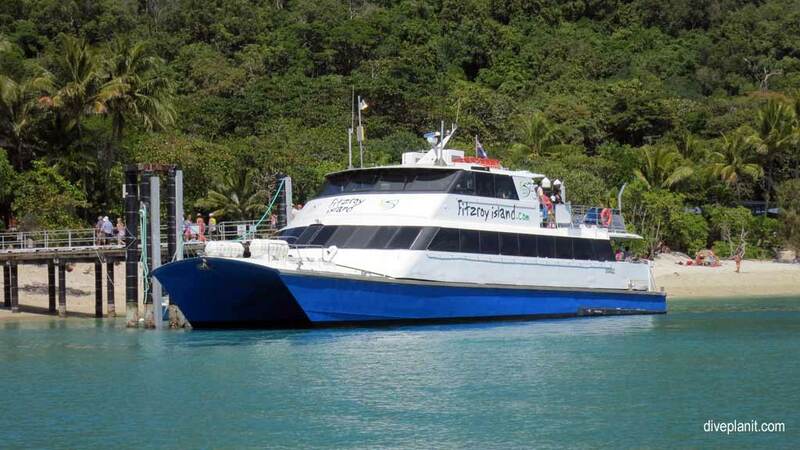 If you are just going to Fitzroy Island for a day trip then use the Fast Cat. You can book on-line but must select both your arrival and departure transfers at the same time. If you intend to stay longer, you can book your transfers on the same page as when you book your accommodation. Alternately, if you are going to the outer reef with one of the Reef Cruise operators, you will need to contact them, and discuss at which part of their trip you want to include your stopover at Fitzroy. You can then book accommodation separately. Check availability via the website. Fitzroy can be a useful stopover for a no-dive day prior to flying. 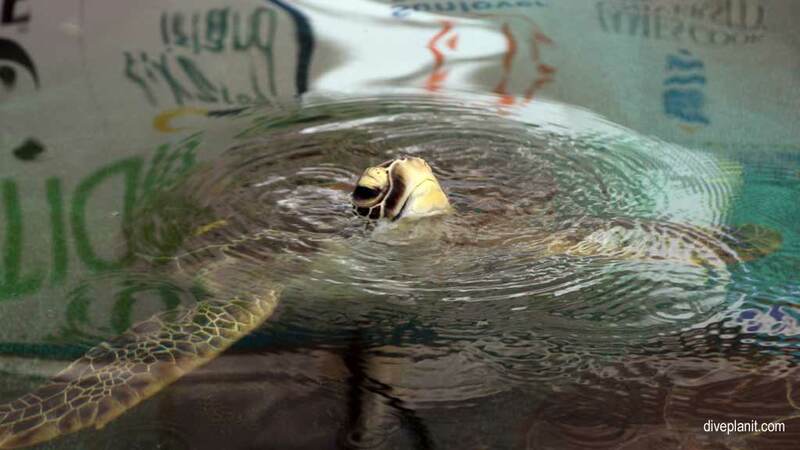 Make time to visit the Turtle Rehabilitation Centre. If you want to dive at Fitzroy – call in advance and check out the conditions and make sure they’re expecting you.